Summary: Examining three compelling scenarios demonstrating Luke’s historical accuracy. PREMISE: Luke the physician was an accurate historian who did not distort details even for the sake of convenience. PURPOSE OF ARTICLE: To present three case studies where Luke was vindicated in modern New Testament scholarship by his usage of correct Greek terminology. The Gospel of Luke and the book of Acts (found in the New Testament) were both authored by a man named Luke, and what we know of him is certainly fascinating. He was a Gentile, a devout believer in Jesus, a historian, a writer, a fellow traveler with the apostle Paul, and a physician. But was he a good historian? Some scholars claim that he wrote much later than the events he was describing and got certain facts and terms wrong. 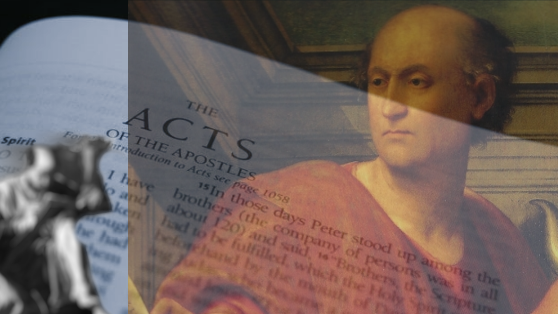 Though hardly exhaustive, today’s article will offer three case studies (all involving Greek words) from the book of Acts in which critics thought Luke was wrong…and he turned out to be right. In Acts 16, Luke recounts the imprisonment of Paul and Silas by the Philippian authorities. In the past, skeptics attacked this passage for using the title στρατηγοῖς (stratégos transliterated, or praetors) to refer to the Philippian magistrates who ordered Paul and Silas to be beaten and imprisoned. After all, magistrates in Roman colonies were called duumvirs. In De Lege Agraria, Roman politician Cicero says regarding the colony Capua, “For in the first place, as I said, though similar officers in the other colonies are called duumvirs, these men chose to call themselves praetors.”3 So we see that this departure from the traditional title was not unheard of, and that the word praetor was most likely the correct term for the Philippian magistrates. Luke also received criticism from scholars for his use of the ostensibly incorrect word anthupatos (ἀνθυπάτου), rendered in English as “proconsul”, to describe Sergius Paulus (Acts 13:6-12) and Gallio (Acts 18:12). In past years of New Testament scholarship, much criticism was directed toward Luke’s use of the word politarches (πολιτάρχη) to describe the city authorities in Acts 17:5-9 (which recounts a Jewish riot against Paul and his followers). The word appears in no extant Greek literature and seems to have been a neologism (or made-up word) combining polis (city) and arche (ruler). The stories behind these three terms are just samples of the numerous times Luke the physician has been proved right despite critics’ attempts to undermine his legitimacy. In fact, he is now widely regarded as a preeminent historian, worthy to be ranked among his Greek counterparts. While his extreme accuracy in specific instances may not necessarily prove that he is right on supernatural and spiritual matters, it certainly does much to negate the argument that the entire Bible is a fairy-tale that has no historical grounding. In future articles, we will examine more of Luke’s incredible historical and scientific accuracy. Lewin, Thomas. The Life and Epistles of St. Paul. London: G. Bell and Sons, 1890. Print. Keener, Craig S. Acts: An Exegetical Commentary. Grand Rapids, MI: Baker Academic, 2015. Print. Longman, Tremper, and David E. Garland. Luke–Acts. Grand Rapids, MI: Zondervan, 2009. Print. McDowell, Josh, and Bill Wilson. The Evidence for the Historical Jesus. Eugene, Or. : Harvest House, 2011. Print.